The sun’s coming out, so it’s time to lather on the sunscreen. Green tea is a natural sunscreen, so tea lovers can work with their favorite tea leaves to stay safe in the sun. 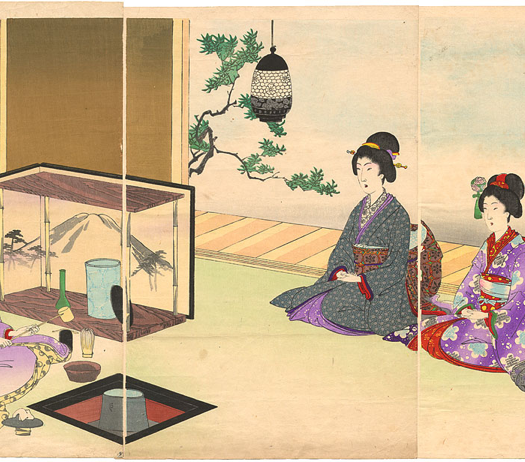 According to a report in the Scholars Academic Journal of Pharmacy titled Natural Sunscreen Agents: A Review, topical green tea extract “significantly increased the minimal erythema dosage of UV on healthy human skin and reduced signs of UV damage on that skin.” Translation: green tea is a natural foe to sunburn. If you have a kid in your life, you know how hard it is to get them to sit still while you rub sunscreen all over their skin. Suggestion: make your own green tea sunscreen with your kids. That way, when it’s time to prepare for the sun’s harsh rays, your little one will be excited to put on sunscreen he made, taking pride in his work. If all you have to worry about is protecting your own skin and aren’t up for making some yourself, pick up one of many green tea sunscreens available on the market. 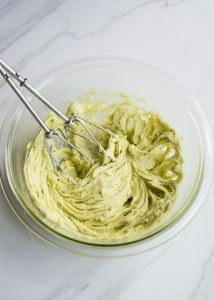 This sunscreen recipe from Hello Glow brings together green tea, zinc oxide, and natural oils and butters for a homemade cream that will keep your skin healthy and happy. This homemade sunscreen builds on the natural sun-shielding properties of green tea by combining green tea extract with beeswax, red raspberry seed oil, shea butter, non nano and uncoated zinc oxide, Vitamin E oil, and carrot seed oil. Per Natural Sunscreen Agents: A Review, shea butter “enhances skin cell regeneration and promote[s] blood circulation” while also providing “vital protection against harmful UV rays.” The report also says that carrot seed oil provides “natural sun protection,” citing a 2009 study that concluded “products containing carrot seed oil have a natural SPF of 38 and 40.” Bottom line: this recipe’s full of natural elements that protect you from the sun. This SPF 30 sunscreen from 100% Pure targets people with oily skin to both moisturize and protect skin from the sun. It’s lightweight and protects against both UVA (ultra violet aging) and UVB (ultra violet burning) rays. 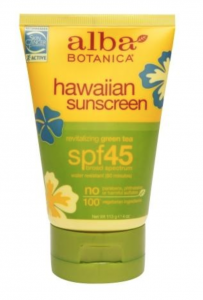 This sunblock from Alba Botanica contains only vegetarian ingredients such as green tea, aloe vera, and sunflower seed oil. Recommended by the Skin Cancer Foundation, it’s water-resistant, non-greasy, and made in the USA. 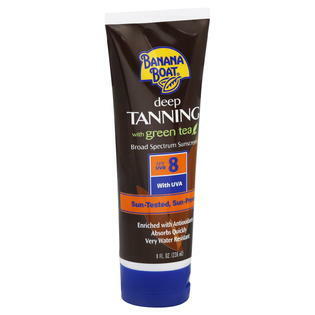 If you’re hoping for a great tan but still want some sun protection, this lotion from Banana Boat is a very low SPF 8 and contains green tea extract. It smells like banana coconut rum (yum! ), and has been fortified with antioxidants. 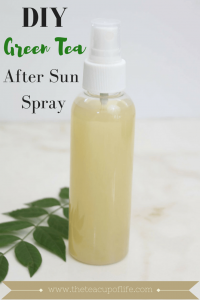 If you got caught in the sun without sunscreen or just want a refreshing post-sun spritz, this DIY recipe from The Tea Cup of Life is here to soothe your skin. 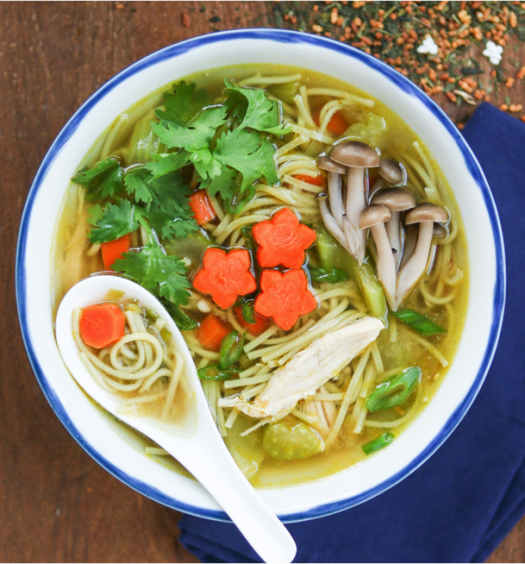 The recipe calls for green tea, hot water, witch hazel, and aloe vera. Simply combine in a spray bottle, refrigerate, and then spray.